So I’ve spent the past 3 months absolutely grinding to build up 1,000,000 bot chips to get that 5 star bot. If the update next month completely changes the game and makes my chips obsolete, I will be more than upset. I’m certain I’m not the only one who feels like this either. I really want new content, but please keep some usability for the bot chips. I put a lot of work into amassing my stash of chips. Next month comes. 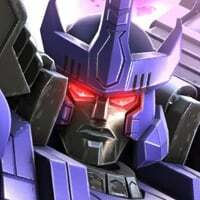 Get a 5 star Hound or Sideswipe with your generic bot chips or a 5 star tactician Prime for 1,000,000 Prime chips. And you earn 1 Prime chip for every defense win... with the Prime Module. Thanks for grabbing this @Mufc14!! 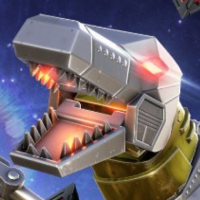 Don't worry, fellow Grimlock fan. Your chips aren't going anywhere. And will all bots available in the store in the future be purchasable with the generic bot chips? Though we don't have plans to bring back Bot specific Chips-- I don't want to sit here and say all future Bots will use Generic Chips as we may have a special event or something that would invalidate that answer.